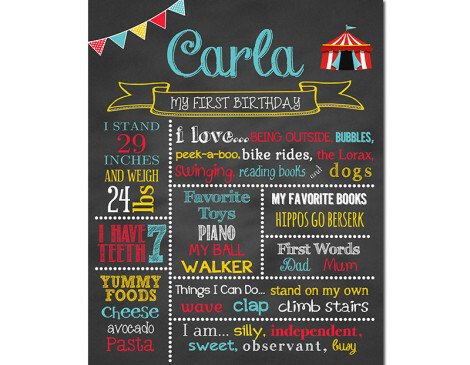 The girl circus first birthday chalkboard sign is a great keepsake to remember your little ones first year. 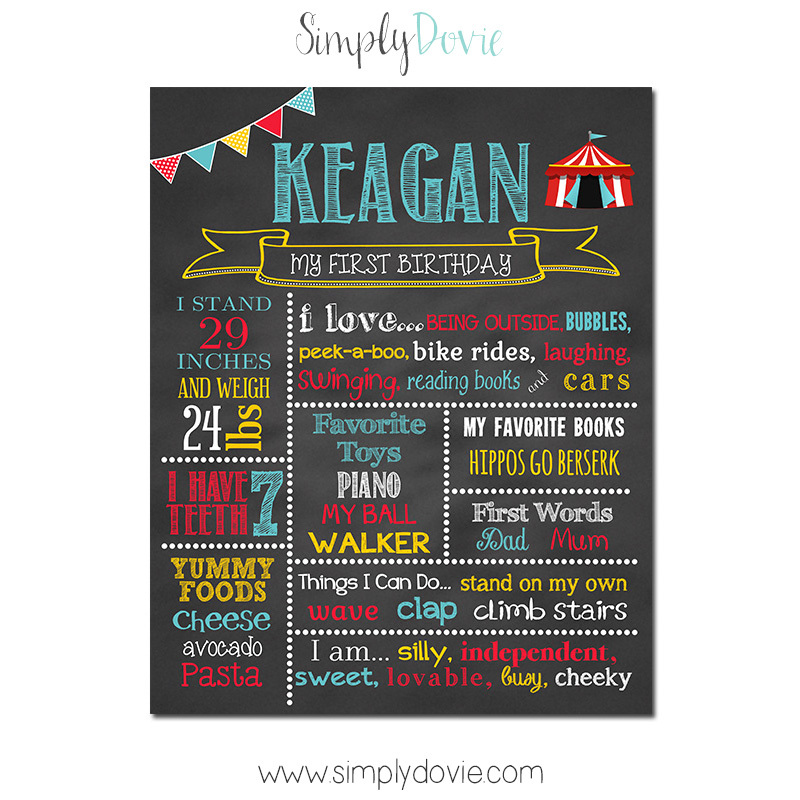 This milestone birthday chalkboard will be perfect displayed at a circus themed birthday party or even used as a photo prop in a cake smash session. 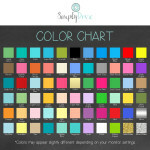 Personalize it with your child’s milestones and favorite things. 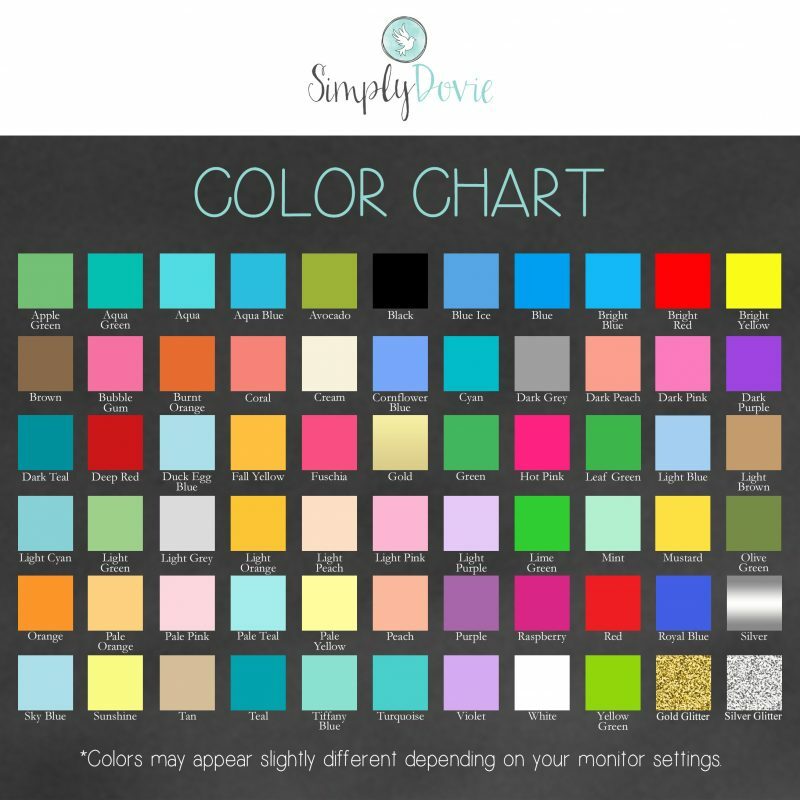 Available in digital file format for self printing or print. 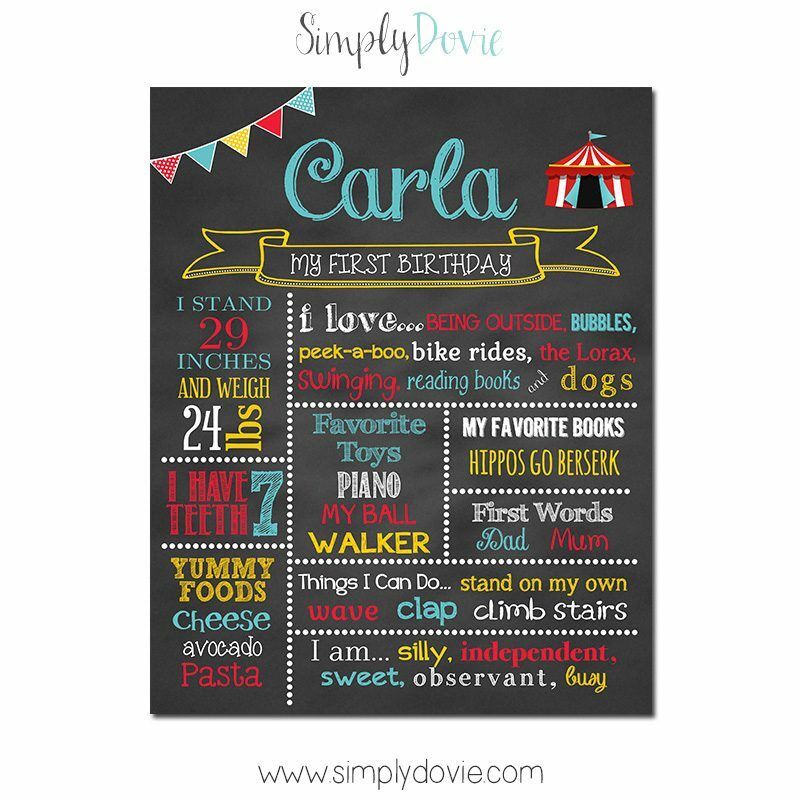 Our girl circus first birthday chalkboard sign is a custom product so it will be unique to your information that you provide. We may use different fonts or font sizing to best fit your information.